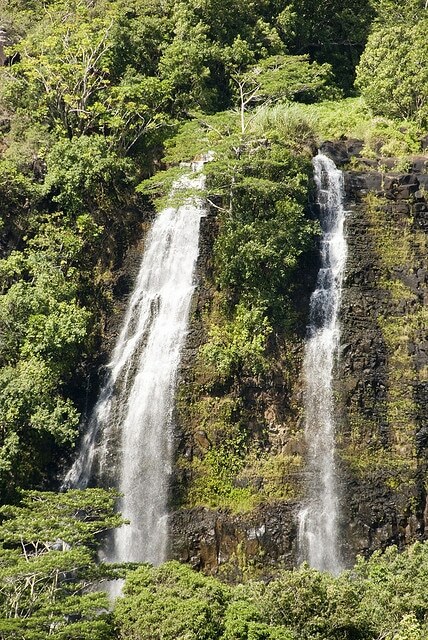 This picturesque waterfall easy to find just off Kuamo’o Road (Highway 580) near Wailua on the east side of Kauai. (This Google Map indicates the location of Opaeka’a Waterfall.) You will find ample parking. The overlook to the waterfall view is easy to access and conveniently located just off the road. While you are in the vicinity, also check out the overlooks into the lush Wailua River Valley. Click the following link for more Kauai vacation attractions and sights you must see. FYI, The picture you are showing is famous, but it is NOT Opaeka’a falls. That is actually Wailua falls, which is made famous by it’s appearance at the beginning of the TV show Fantasy Island. You may want to correct your post. Aloha! Doh, you’re absolutely right! I’m not sure how that happened but I changed out the image with the correct one. Mahalo for letting me know. The picture is very beautiful like I saw in a movie. In Thailand the waterfall that look almost the same Wailua fall is in Ranong, 200 km afar from my place Phuket. Beautiful!! !